The Israeli Occupation Forces (IOF) launched at dawn Tuesday a large-scale arrest campaign in Nablus, north of occupied West Bank, and handed a Palestinian prisoner’s family a demolition notice. 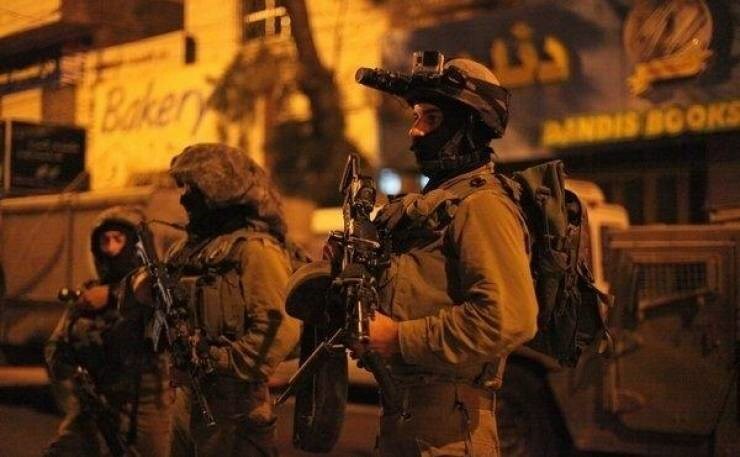 The IOF troops stormed overnight the city and raided a number of local homes. 13 young men were detained during the raid. A number of ex-prisoners were among the reported detainees, while local sources affirmed that most of the detainees were affiliated with Hamas Movement. On the other hand, the IOF handed the family of the prisoner Ragheb Ahmed, who is charged of being involved in Itmar shooting attack, a notification that their home, to the east of Nablus, would be demolished. 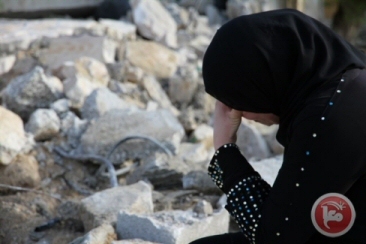 The IOF gave the family two days to appeal against the demolition order. A second prisoner’s home was also raided and searched in the city, in addition to local shops and a restaurant. The Israeli occupation forces (IOF) Tuesday dawn knocked down the family home of prisoner Maher al-Hashlamoun in the southern West Bank province of al-Khalil as part of the preplanned policies of collective punishment against Palestinian anti-occupation activists. A PIC news correspondent said heavily-armed IOF troops rolled into al-Zaytoun neighborhood and cordoned off a three-storey residential apartment where al-Hashlamoun family lives before they knocked down all the entrance gates and reduced the home to mounds of rubble. The IOF locked up all residents into one single room. “The Israeli occupation may take our homes but never shall they do the happiness we feel deep inside,” the wife added. Meanwhile, dozens of Palestinian youths flocked in the nearby al-Tahrir Square at predawn time in protest at the arbitrary demolition. The Israeli occupation forces attacked the protesters with random waves of tear gas canisters and rubber bullets. The Israeli occupation patrols and army jeeps further cordoned off the family home of activist Aref al-Sharbati, moments before they kidnapped the ex-prisoner Mahmoud al-Sharbati, released some few months ago from the occupation jails after he had served nine years. The campaign culminated in the abduction of youngsters Sadeq Seyaj and Ahmad al-Kurki form al-Khalil’s southern area. The Israeli occupation soldiers further broke into the home of the slain Palestinian activist Fadl al-Qawasmi and snapped the building from all corners. 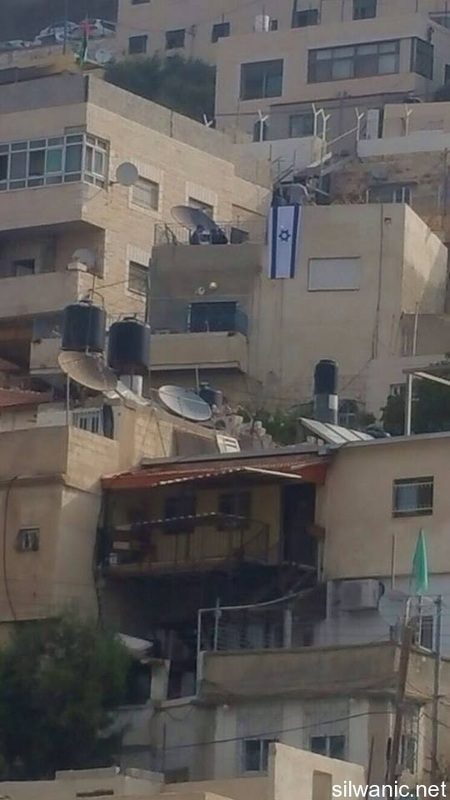 The settlement organization, Ateerat Cohanim, seized two houses in the area of Batn Al-Hawa in Silwan south of Al-Aqsa Mosque on Monday morning. 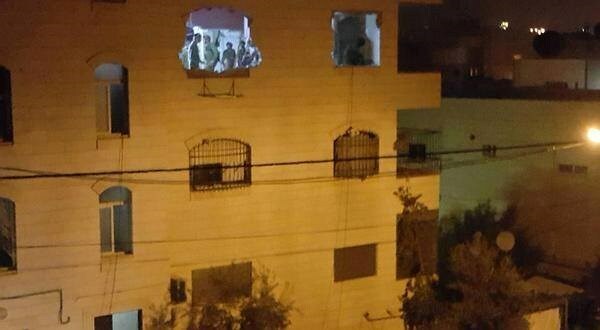 Wadi Hilweh Information Center_Silwan explained that large Israeli forces including Special Forces, police, dogs’ unit and employees of Ateerat Cohanim raided the neighborhood of Batn Al-Hawa supported by a helicopter. They surrounded two houses owned by Abu Nab family to execute the evacuation order in favor of the settlement organization which claims ownership. Zuheir Rajabi, head of Batn Al-Hawa committee, explained to the center that large Israeli forces raided the houses of Abdullah Abu Nab and his brother Sabri. They evacuated the residents using force and used pepper gas towards the elderly Abdullah Abu Nab and detained him without providing him with any treatment and then started to remove the furniture and seized the houses; they prevented anybody from leaving his house or walking in the neighborhood. Rajabi added that four individuals live in Abdullah’s house while 5 individuals live in Sabri’s house. Rajabi also explained that the settlement organization claim ownership of the houses before 1948 when they used to be a Jewish synagogue. The family changed the nature of the houses and added new building to it. In 2002, settlers asked to get the building claiming that the tenant lost the “protected tenant” classification after they added to the building and requested to demolish the new building and pay rent to the settlers. Several evacuation orders were issued against Abu Nab family and the last order gave them until 25/10/2015 to evacuate the building. The houses of Abu Nab family fall within the plan of Ateerat Cohanim to seize 5200 square meters from the lands of the Middle Neighborhood (area of Batn Al-Hawa) under the pretext of ownership by Yemen Jews since 1881. They divided the area into 6 sections numbered 73, 75, 88, 95, 96 and 97. The settlement organization claim that the Israeli Supreme Court acknowledged Yemen settlers’ ownership of the land of Batn Al-Hawa. The center explained that the land has between 30-35 residential buildings where more than 80 families consisting of nearly 300 individuals live. All the residents have been living in the neighborhood for many years after buying the lands and property from their previous owners. Israeli Occupation Forces (IOF) distributed on Sunday demolition orders to four families of Palestinian youths who carried out anti-occupation operations. Demolition orders were given to families of Tarek Doeik, Ishak Badran, Mohammad Saeed and Thaer Abu Ghazaleh for implementing resistance operations against Israeli soldiers and settlers in Occupied Jerusalem and 1948 Occupied Palestine. The Israeli army gave the families 48 hours in case they want to appeal against the demolition orders. 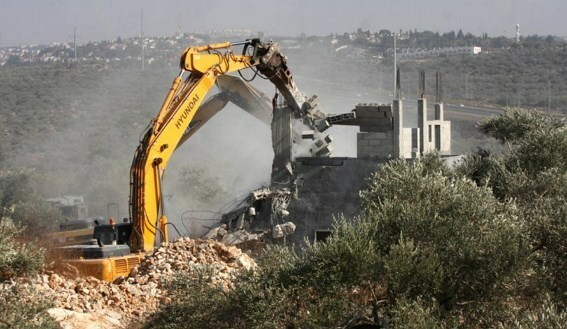 The Red Crescent said on Saturday that Israeli decision of razing six Palestinian houses in the West Bank came within the policy of collective punishment which is internationally prohibited in accordance with the international humanitarian law. One Palestinian was injured by live fire and many others suffered from inhaling tear gas after the Israeli occupation forces (IOF) stormed on Sunday the campus of Palestine Technical University in Tulkarem city. A photojournalist called Ashraf Abu Shawish also suffered a rubber bullet injury during the raid on the university, according to a medical source in the city. 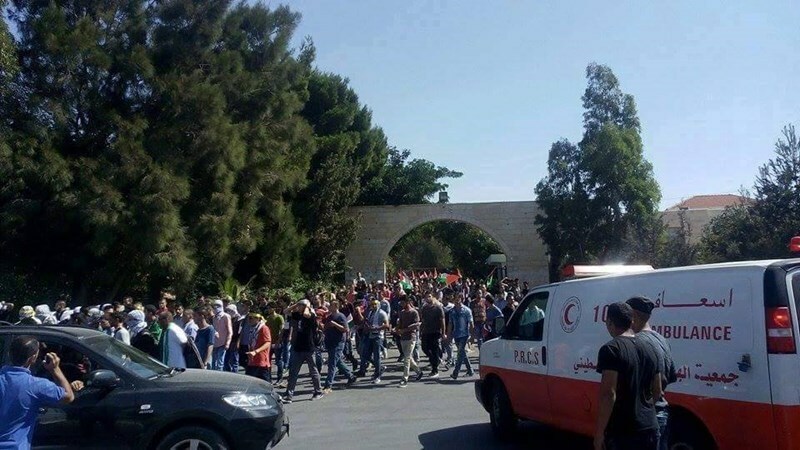 Local sources explained that Israeli troops stormed the university during violent clashes with young men in a nearby area, particularly near Jeicora factories, west of the city. The university administration, in turn, has urged the media to cover the Israeli violations against its students, affirming that the Israeli army had threatened to demolish the buildings of the university on allegations that it became a hideout for protesters. Palestinian civilians joined by international solidarity activists will gather tonight, Friday 16, October 2015, at the Nablus city homes of Yahya Hamad, Karam Al-masri and Sameer Al-kosa after Israeli forces threatened revenge demolitions within 24 hours. Yesterday night, hundreds of Palestinians gathered outside the house to protest the illegal practice of house demolitions and managed to prevent Israeli forces from demolishing the house. Tonight, they will be joined by internationals from the United States, Australia, France, Italy, Ireland, the United Kingdom and Holland. Hundreds of Palestinian citizens overnight Thursday rallied in front of a series of homes in Nablus which the Israeli occupation authorities threatened to demolish. A PIC news reporter said hundreds of Palestinian youths sealed off the access roads to the targeted buildings with metal barriers and sand mounds in protest at an Israeli decision to knock down the homes of three anti-occupation activists. Earlier at dawn Thursday, the Israeli occupation soldiers threatened to knock down the homes of the three prisoners Karam Rezq al-Masri, Samir Kousa, and Yahya Hadj Hamad on allegations of their involvement in attacks against an occupation officer and his wife earlier this month. Over the past few hours, locals, along with a consortium of national factions and institutions, have launched calls to maintain vigil outside of the targeted buildings and prevent the occupation forces from carrying out the demolition process. Israeli authorities, overnight Wednesday and during the day on Thursday, executed punitive measures against the families of Palestinians accused of carrying out attacks against Israel, giving four families 72 hours to evacuate their homes before demolition, and raiding the homes of three others. In the Ramallah area of Silwad, Israeli forces delivered demolition orders to two houses, Thursday, after alleging their sons belonged to a military cell responsible for carrying out an attack near Nablus. The family of prisoner Abdullah Munir Hammad was given 72 hours to either evacuate their home or file an objection to the military order. The family told Ma'an News Agency that they don't actually own the home, and have started legal procedures to reject the order issued on the rental. Israeli forces also delivered an order to the family of Muath Hamed, who is being held in jail by the Palestinian Authority, also giving them 72 hours to evacuate or object to the order. The Israeli authorities accused both Muath and Abdullah, along with three others, of carrying out a shooting near Nablus on June 29 that killed an Israeli soldier and injured 3 others. The same notices were delivered to the family of prisoner Abd Muhammad Abu Shahin from the Qalandiya refugee camp in northern Ramallah after accusing him of leading a military cell that carried out a shooting last Ramadan that killed an Israeli settler and injured another. Israeli forces also raided the Surda village in northern Ramallah and delivered demolition orders to the family of Muhannad Shafiq al-Halabi, who carried out a stab and shooting attack in Jerusalem killing two Israeli soldiers and injuring four Israelis on Sept. 30. Thursday's orders come as Israeli Prime Minister Benjamin Netanyahu has called to fast track the demolition of family homes of alleged attackers, a move criticized as an illegal form of collective punishment due to its displacement of Palestinians who have not committed crimes. The PM's orders to carry out punitive home demolitions had led rights groups to repeatedly call on the Israeli government to end the ongoing and daily pressure of the Israeli occupation rather than carry out collective punishment across the occupied area. The measures come amid efforts imposed by Israeli authorities to stop the current escalation in Israel and the occupied Palestinian territory. Thirty-two Palestinians have been killed by Israeli forces since Oct. 1, and seven Israelis have been killed in attacks by Palestinians in the same period. Shortly before Thursday's demolition orders, Israeli forces overnight Wednesday raided homes in Hebron belonging to the families of three Palestinians killed in recent days after carrying out alleged attacks, locals said. Locals told Ma'an that the homes belonged to the families of Mohammad al-Jaabari, Amjad al-Jundi, and Basel Bassam Ragheb Sidr. Israeli forces also raided the house of detainee Shaher Rayyan, who was accused of carrying a knife and attempting to sneak into an Israeli settlement outpost near Hebron last week. While the demolition orders issued in the Ramallah area and Hebron raids were carried out in Area A of the occupied West Bank -- under full control of the Palestinian Authority -- Israel regularly enters the area in violation of international law and the PA does not intervene in such orders. Families can generally file objections to punitive demolition orders and appeal to Israel's high court, but Human Rights Watch reported last year that in such appeals, "Israel’s High Court of Justice has refused to apply the absolute prohibition in customary international law against the collective punishment of civilians." The Israeli Occupation Forces (IOF) launched overnight a large-scale raid and search campaign in occupied West Bank, Jerusalem, and within the Green Line. 55 Palestinians were detained during the campaign. In Nablus, IOF nabbed five Palestinians after storming a number of towns in the city. At least six other youths were arrested in occupied Jerusalem, while one detainee was reported in Ramallah. In al-Khalil, seven young men were detained as IOF raided several towns in the city. A number of local homes were also stormed during the raid. 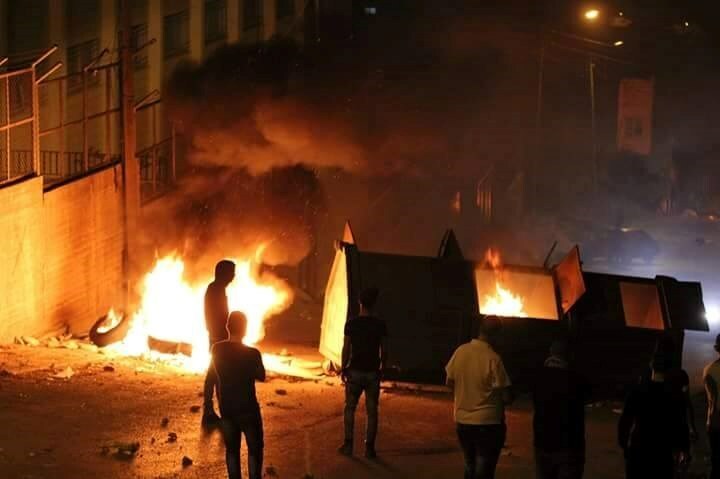 Clashes erupted during the campaign in Surif town, resulted in dozens of tear gas inhalation cases among local youths. A 23-year-old young man was also arrested in Aida refugee camp in Bethlehem. Meanwhile, four minors were detained overnight in the Arab city of Jaffa within the Green Line under the pretext of stoning Israeli police. Nearly 30 Palestinians were also arrested in Acre for their participation in a peaceful march in defense of al-Aqsa Mosque. Along the same line, Israeli forces notified four Palestinian families to demolish their homes located in Nablus, Ramallah, and occupied Jerusalem under the pretext of their sons’ involvement in attacks against Israeli settlers and soldiers. The Israeli occupation forces at dawn Tuesday attacked the family of a Palestinian anti-occupation activist after they rolled into their home in Jenin’s western town of Erka, in the northern West Bank. Local sources said heavily-armed Israeli soldiers stormed the family home of a Palestinian activist who had allegedly carried out an anti-occupation stabbing attack in al-Afoula some three days ago. The Israeli occupation soldiers came down heavily on Abdul Fattah Yahya and subjected him to exhaustive interrogation on his imprisoned son, Tareq. The Israeli soldiers further seized Tareq’s personal belongings and took pictures of the family home from all corners in an attempt to pave the way for the demolition of the building as part of a preplanned policy of collective punishment against the families of Palestinians carrying out attacks on Israelis occupation troops or settlers. 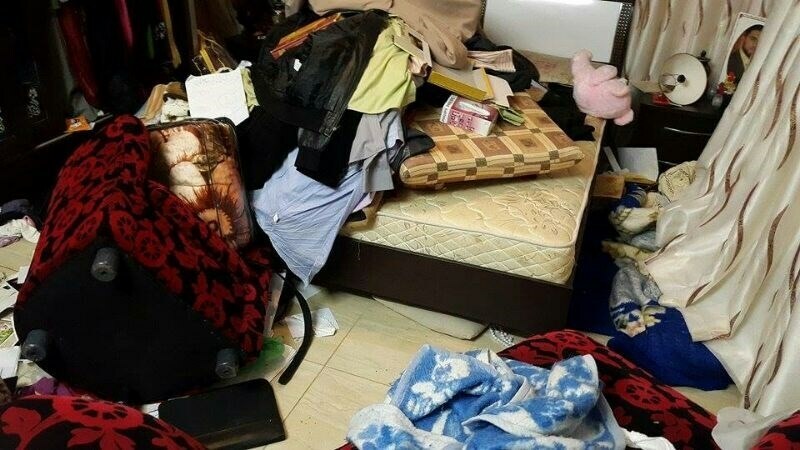 The Israeli occupation soldiers reportedly locked up all family members in one single room for long and exhausting hours, wreaking havoc on the building all the way through. The young woman captive Shurouq Dwayyat, 18, from the town of "Sur Bahir", south of occupied Jerusalem, still lays in the Israeli hospital "Hadasa Ein Karem" in a situation that does not seem convenient or comfortable as she is cuffed to the hospital bed in a dark closed room under heavy guard in spite of her serious injuries. The teenager is one of the Jerusalemite victims of settlers' offenses and infinite racial hatred. She was assaulted by one of the settlers who shot her with live bullets and claimed that she had tried to stab him. The girl's family members are experiencing hard times as they are prevented from checking on their daughter's health status and reveal the real story of their daughter's incident. Moreover, the Israeli occupation forces raided her home, detained her father and her sister and interrogated them. The captive Dwayyat's aunt said -according to the Prisoners Media Office – That Shurouq's health status is stable. She said that one of the lawyers was able to enter her room in the hospital and found her cuffed to the bed and heavily guarded by police and border guards, in a closed room and deprived of family visits. She pointed out that Shurouq underwent surgical operations to repair her hand's artery which was cut by gunfire which caused her injuries in the hand, chest and neck. She told the story of the captive saying that Shurouq wanted to go to university in the city of Bethlehem; but when her lectures were canceled because of the situation and confrontations she called her mother to tell her that she wants to go to al-Aqsa Mosque to pray. 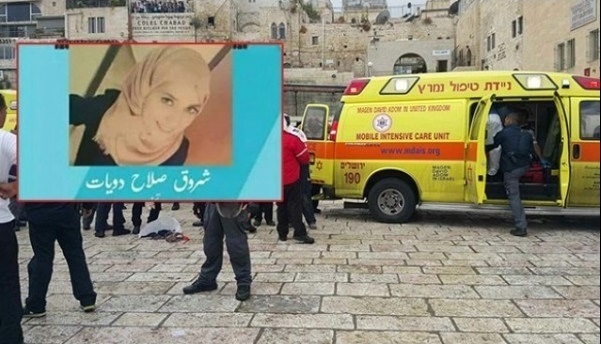 When she was in a street near al-Aqsa Mosque, one of the settlers tried to remove her headscarf, but she defended herself by pushing him with her handbag, the settler then pushed her to the ground and shot her from zero distance. The aunt added: "We are very afraid about Shurouq's health condition and we hope to be allowed to see her because we know that the Israeli narratives are pure lies and that she was deliberately assaulted". Chairman of the committee of the families of prisoners of Jerusalem, Amjad Abu Assab, said that the occupation has a severe case of obsession in dealing with the Palestinians; and that the assault on the Jerusalemite teen Shurouq Dwayyat proves the extreme stage of fear and panic the Israeli street has reached. Abu Assab noted that Netanyahu have given loose instructions to soldiers and settlers to open fire, which is a dangerous concept that could kill dozens of Jerusalemites because any movement could cause opening fire and assault, as in the case of the martyr Fadi Alloun. He blamed the Israeli government for such a situation since it provides cover for all those committing such crimes based on groundless reasons. Israeli Occupation Forces (IOF) broke into the house of captive Shurouq Dwayyat who was shot by an Israeli settler a few days ago in Occupied Jerusalem. Rand, the captive’s cousin, revealed that Israeli soldiers stormed her uncle’s house and took its measures in preparation to demolish or cement the house. She pointed out that the home shelters nine persons. The family has no other house to stay in, she added. Detainee Shurouq is now held captive at Ain Karem Hospital in the 1948 occupied territories. Her health condition has been described as "stable".